The Zenna Home Crate Style Over-the-Toilet Space saver adds valuable flat storage to any bathroom. Using the space above a toilet, the space saver provides three shelves of flat storage, perfect for towels, washcloths, bath items and decorative accessories. 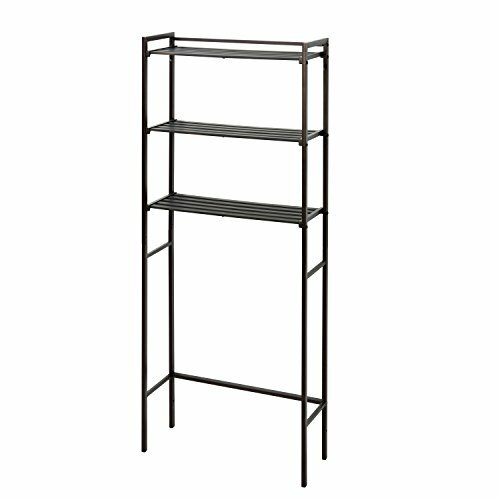 The space saver's wide slat-style shelves are made of durable resin, and provide a sturdy surface area. The unit is easy to assemble. View More In Bathroom Sets. If you have any questions about this product by Zenna Home, contact us by completing and submitting the form below. If you are looking for a specif part number, please include it with your message.